Chris is a World Cup level Cross Country Mountain Biker, with huge experience coaching other athletes to the same level. 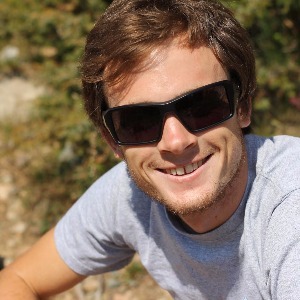 Chris has a strong academic background in physiology, allowing him to combine the experience of racing mountain bikes with the scientific rigor of building suitable and appropriate training plans. Mountain Bike racing is unique: Chris has the experience to deal with that. I coach athletes on an individual and unique basis only; I tailor each plan to the requirements and goals of a particular rider, and therefore do not have a standard “coaching package”. We will work together to discuss what you wish to achieve, the time you have available, and other priorities which come ahead of training. This information can guide us to making good training decisions together. I value each athlete highly, and create sustainable and realistic plans that will lead to a long lasting relationship. – Data nerd. I like crunching your numbers. If you are interested in setting up a no pressure meeting to discuss your current training and future needs, please contact me. I only coach competitive athletes: those focussing on race goals, rather than fitness goals. Success. Coach Chris Baddick has been notified of your message.